The European Commission has approved AstraZeneca and MSD’s Lynparza (olaparib) for the treatment of germline BRCA-mutated HER2-negative advanced breast cancer – making it the first drug approved in the EU for this condition, and the third EU indication overall for what is becoming a key drug for the two companies. 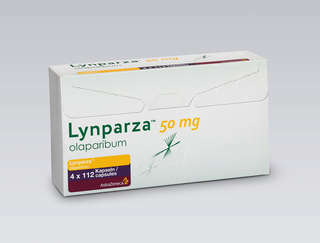 The approval is based on results from the Phase III OlympiAD trial, which showed that Lynparza reduced the risk of disease progression or death by 42% compared to chemotherapy. Lynparza has gone from strength to strength in recent months, giving AstraZeneca some good news after several disappointments in 2018, including missteps from immunotherapy drug Imfinzi. In February AZ and MSD announced results showing that the PARP inhibitor drug could slow progression in pancreatic cancer – another difficult to treat disease. And in December last year the FDA approved the drug for adults with deleterious or suspected deleterious germline or somatic BRCA-mutated (gBRCAm or sBRCAm) advanced epithelial ovarian, fallopian tube or primary peritoneal cancer. Lynparza works by blocking response to DNA damage in cancer cells with mutations such as BRCA, which cause deficiency in the homologous recombination repair (HRR) system in cells. By inhibiting the protein known as PARP, Lynparza causes a chain reaction that leads to a generation of breaks in the cancer cell’s DNA and eventually its death. Originally developed by AZ, Lynparza is now being jointly developed and marketed with US-based MSD under a partnership signed in 2017. There are other PARP drugs on the market too: GlaxoSmithKline/Tesaro’s Zejula (niraparib) is approved in ovarian cancer, and Clovis’ Rubraca (rucaparib) is also approved in ovarian cancer and has shown promise in prostate and pancreatic cancer.